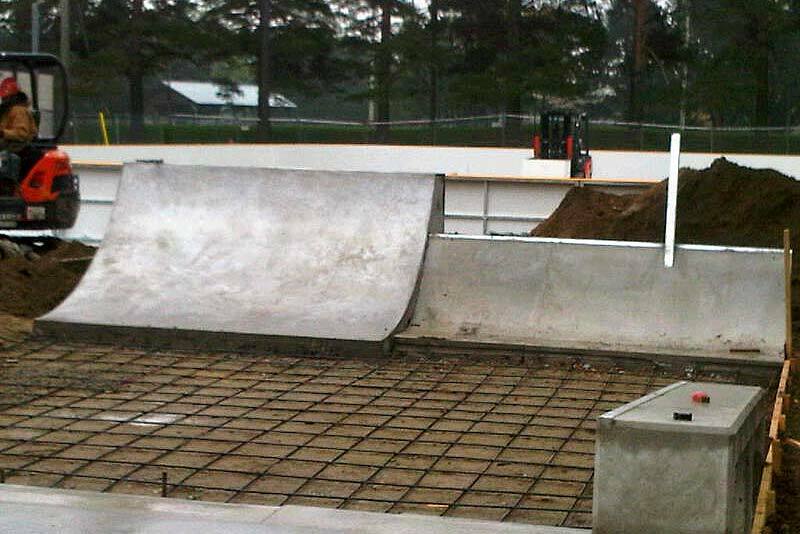 Construction of Cast in Place Concrete Skate Park & Hockey pad. 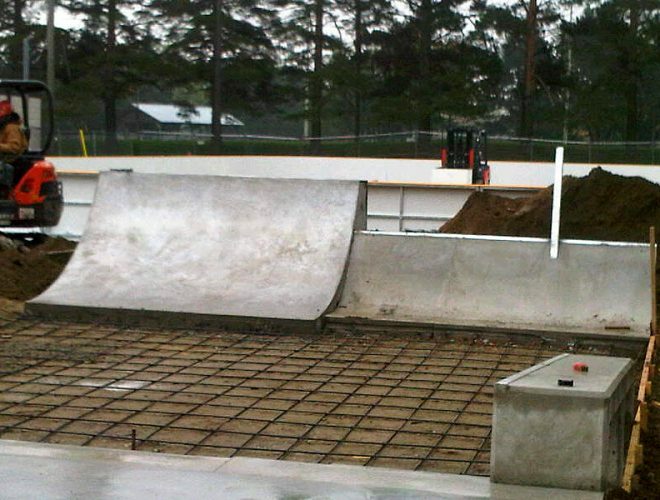 As the general contractor for this project Patterned Concrete Ontario Inc. constructed a 500 s.m. Skate park featuring a 2.5 m deep bowl. The project also included underground sewer Works & catch basins, Lighting & a 600 s.m. Outdoor Hockey pad with Boards and Glass. The project was completed within its $ 629,000.00 budget and is unique.